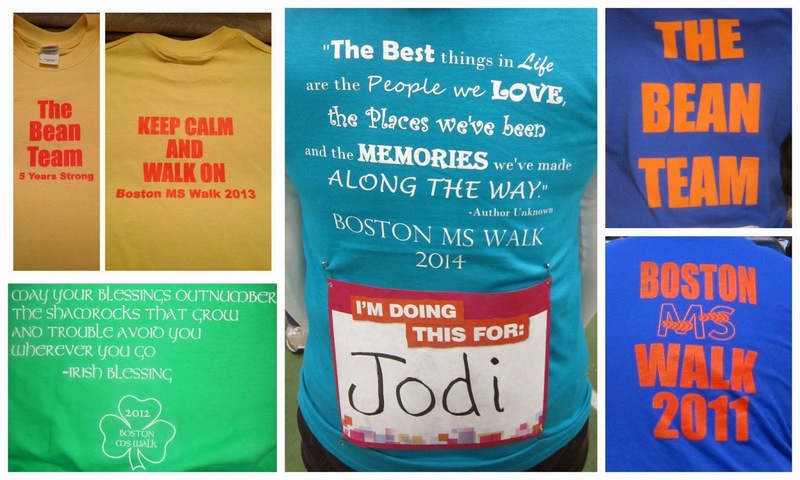 The Boston MS Walk is in April and I need to figure out our team shirts pretty soon. So I need your help! Do you have a good quote I can put on the back of the shirts? It can be inspirational or funny or anything that you think would work for this kind of event. Here are five I found but not sure if any of them are the exact right fit. Vote for the one you like best in the comments or suggest something else! These are some of our shirts from past years! I haven't picked a color yet for this year but I have a few in mind and will decide one a quote in chosen! 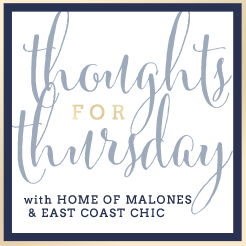 "Today I choose to live with gratitude for the love that fills my heart, the peace that rests within my spirit, and the voice of hope that says all things are possible." "Life is like a camera. You focus on what's important. Capture the good times. Develop from the negative. And if things don't work out take another shot." 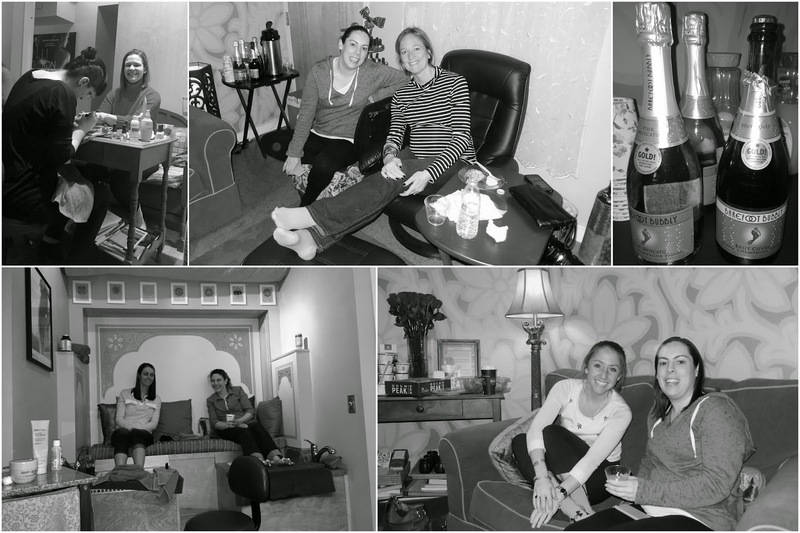 "We didn't realize we were making memories we just knew we were having fun." 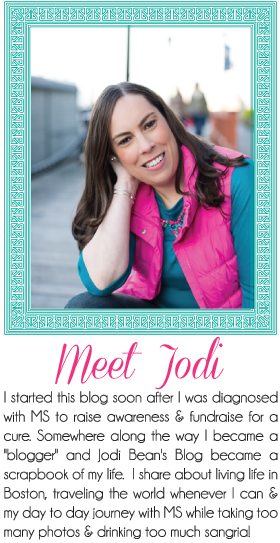 Linking up with Amanda, Five On Friday and Friday Favorites! 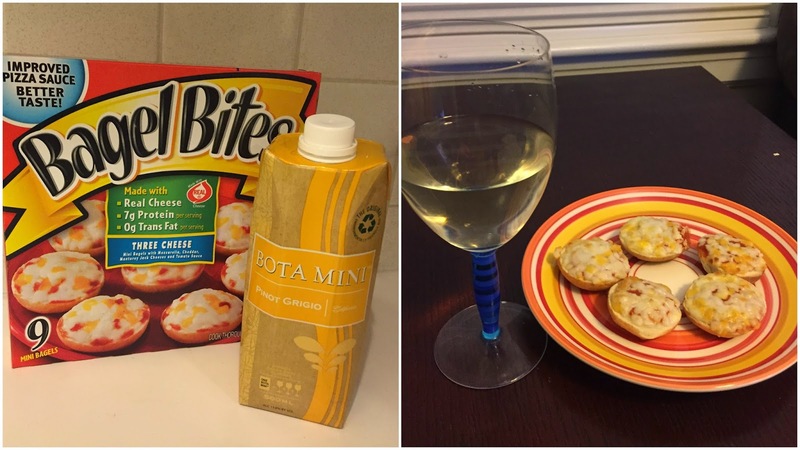 Sometimes you just have to eat Bagel Bites and drink a "juice box" of wine! Sometimes you just have to put on crazy jamberry nails to brighten up your week! Sometimes you just have to call out the a-hole who doesn't clean the snow off of his/her car! Don't worry we were stopped at a red light when I took this photo! Sometimes when you are dog sitting you just have to shake your head at the crazy dog. She insists on sleeping like that! Sometimes all the bananas sell out the night before a snow storm! Sometimes you can see the moon and Mars and wonder what's going on up there! Sometimes you've just got to go to SoCal for a long weekend because you've had MORE than enough with winter in Boston. So long east coast. I'm heading to the warmer and sunnier left coast! Happy Wednesday aka my Friday since I'm heading to SoCal TOMORROW!!!! Woo Hoo! But before my mini-vacation I'm back to share with you my latest loves. This weekend I went to the mall. I love to shop but I really have to be in the mood. Often I will only go to one store and be done. This time I had several errands/returns/etc that I wanted to get done and fortunately I was in the mood for it and had such a successful mall adventure. So all my loves are from that one afternoon. Take a look! I'm loving these new clothes from The Limited! I had ordered a bunch of stuff online from The Limited a few weeks ago. The reason I ordered more than I "needed" was because I refuse to pay for shipping so I bought enough to get free shipping. Unfortunately I didn't like this shirt or a pair of pants so I needed to return both. Lucky for me the entire store was 40% off and I had two $25 savings cards from when I shopped online. Those are the only "coupons" you can use in combination with a sale which means AWESOME savings. So I got the three things above for $56.11! Can you believe that?! 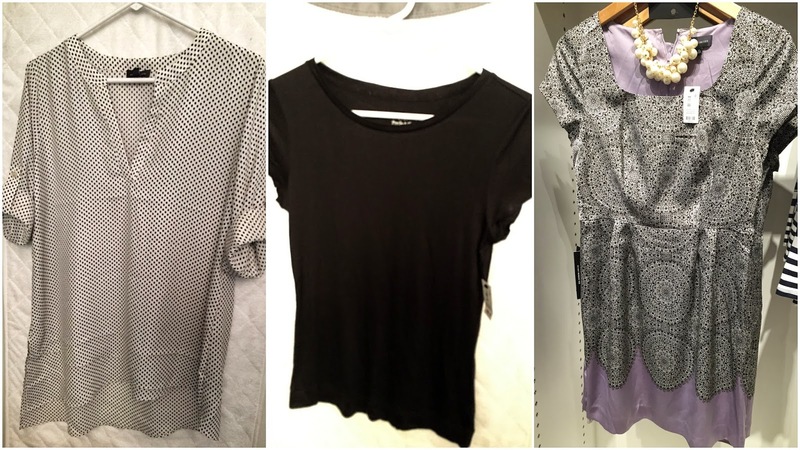 A dress and two shirts for just over fifty bucks. Such a steal. The original total was $176.85 which means I saved $120.74. You can't beat their sales. I never pay full price for anything I buy there! 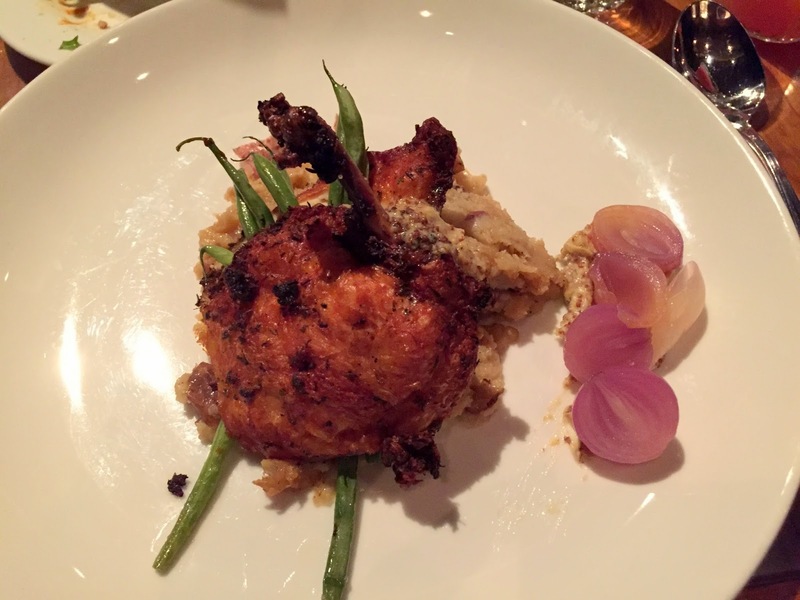 The photos don't do these three items justice. The shirt on the left will look so cute with leggings. It has a great hem line. The middle shirt is so soft and cozy - I bought it specifically to take to CA. The dress is so cute and is perfect for Emily's bridal shower at the end of the month (on my birthday actually). It will likely still be freezing so it will be great with black tights and tall black boots if necessary! I'm loving the (new to me) store Charming Charlie. This store is my dream come true. Purses, necklaces, scarves and more! 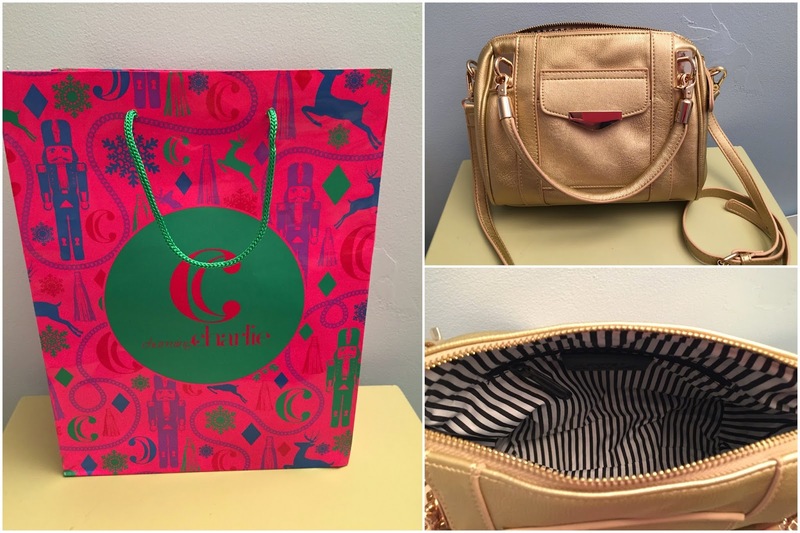 I could have easily bought ten things but I only bought this gold purse which was on sale so I got for a great price. I love cross body bags and this one is so pretty! I can't wait to use it - oh and check out the inside too. There were a few necklaces I really wanted but I resisted and didn't buy them because we all know I have WAY too many necklaces. Plus I was looking for something lavender to wear with the dress above but they didn't have anything. Have you heard of this store? If you have one near you run don't walk and check it out!!! I'm loving this Almond Joy cupcake I got at Cupcake Charlie's (another new place at the Natick Mall). I gave up candy (and soda) for Lent but an Almond Joy cupcake doesn't count as candy. Haha. It was SO good and I'm glad that this place isn't too close to my house or I would be in trouble. I'm loving my new glasses! I went to the eye doctor last month and my vision had changed a little so the doctor gave me a new prescription. I needed new glasses anyway since mine were four years old and had a scratch. I got Coach glasses and I really like them. They are similar to my old ones but a little bigger and a different color blue on the inside. Plus I can see so much better! Yay! During my shopping trip I also tried on Hunter boots for the first time. I've wanted a pair for two years but they are just so expensive. I liked them when I tried them on but I just can't pull the trigger. Oh and I can't decide what color I would get - be practical and get grey or be fun and get. . . . so for now I remain Hunterless. I think I deserve a pair after this CRAPPY winter in Boston. . .
Ok now it is your turn. What are you loving this week? Link up with Rachel and I. Please include the button or link back to our blogs if you participate so that other bloggers can find us too! I know that it hasn't even been Lent for a whole week yet but I'm already craving all of the candy! It is such a bad habit and we each way too much of it at work. But the worst thing happened when I was at Target tonight. . . 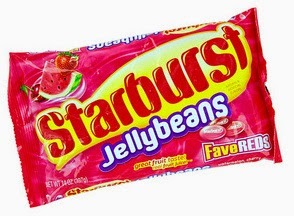 I remember that the "Reds" Starburst Jelly Beans only come out at Easter and they are my FAVORITE! 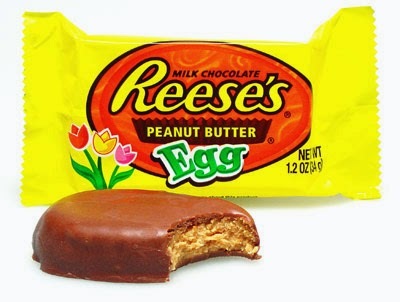 I can't have any until Easter which is going to be hard!!!! 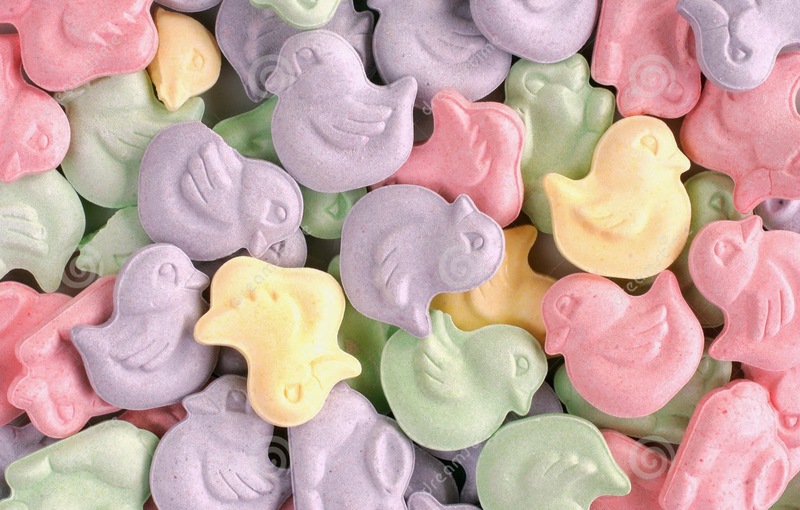 On Easter morning I will likely eat an entire bag of these because I love them that much! 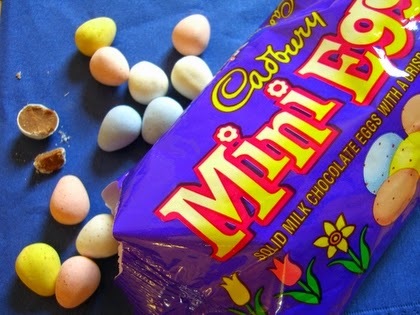 Then when I'm done with those I'll eat my other favorite Easter candy. . .
Is it just me or do they taste better when they are shaped like an Easter egg? I think they do for sure! 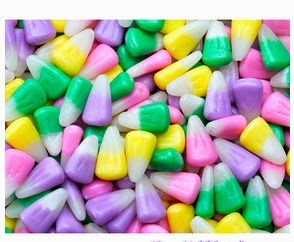 If I was eating candy right now I'd also have some of these. . .
Oh and I also gave up soda so I'll most definitely be drinking a Coke on Easter! Give me all the sugar!!! In all seriousness I usually like to "do something" rather than "give something up" for Lent but I couldn't really think of anything I wanted to do this year so I decided to sacrifice candy and soda. This is a good week because I only have to work three days and then I leave for sunny SoCal! I can't wait. This weekend was relaxing and low key because it snowed again (surprise, surprise). I house sat/dog sat and it was nice to just watch movies with the dog!! 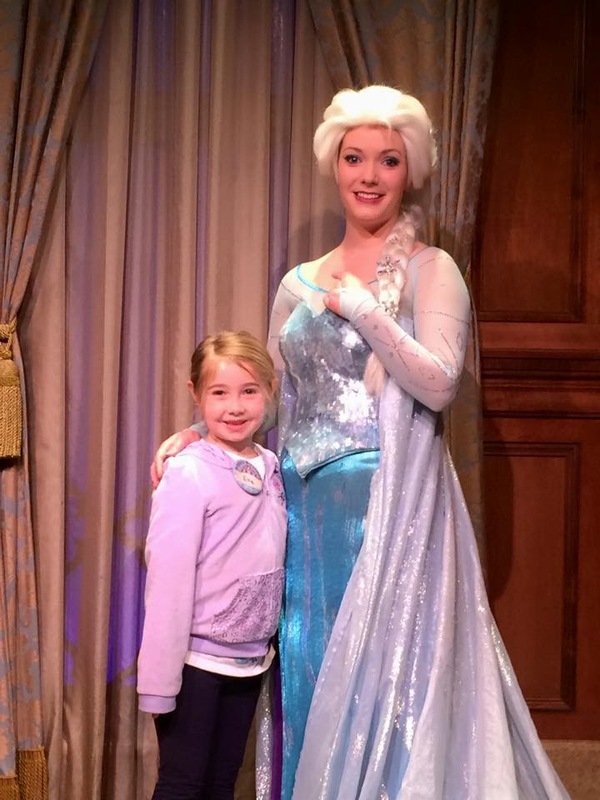 My niece Ella turned 6 on February 11th but the lucky girl was in Disney World celebrating with Elsa who just happens to be her favorite princess! Then due to the snow her family birthday party was canceled last weekend. 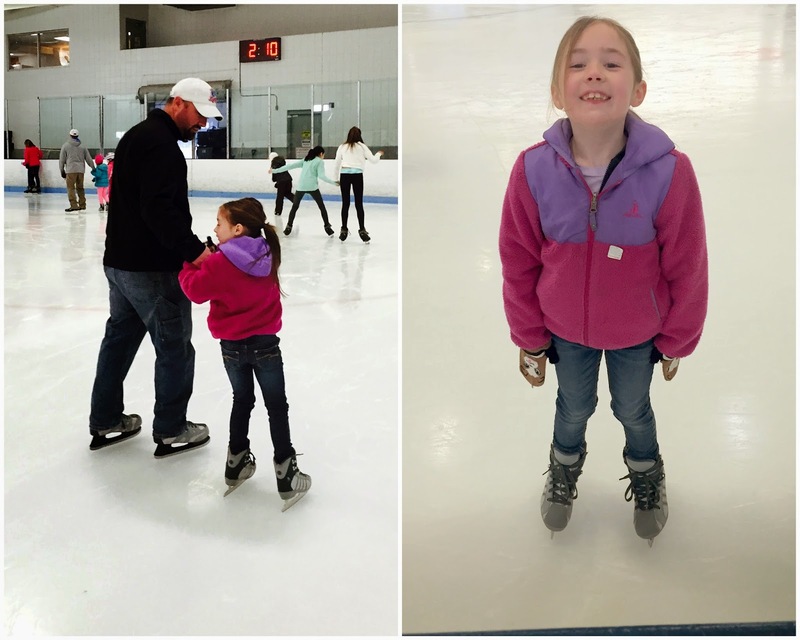 But today was her "friend party" at the local ice skating rink and it is safe to say she had a wonderful time! This girl is the slowest.present.opener.ever. FOR REAL! She is too funny! 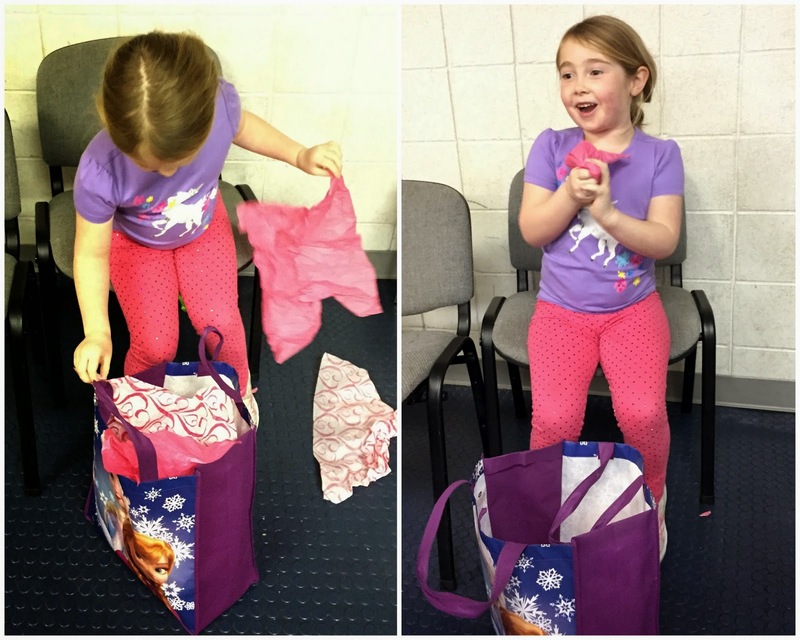 Needless to say she got a lot of "Frozen" gifts which made her quite happy! I on the other hand stuck with the unicorn theme which is her other favorite. I've been grabbing things for months! 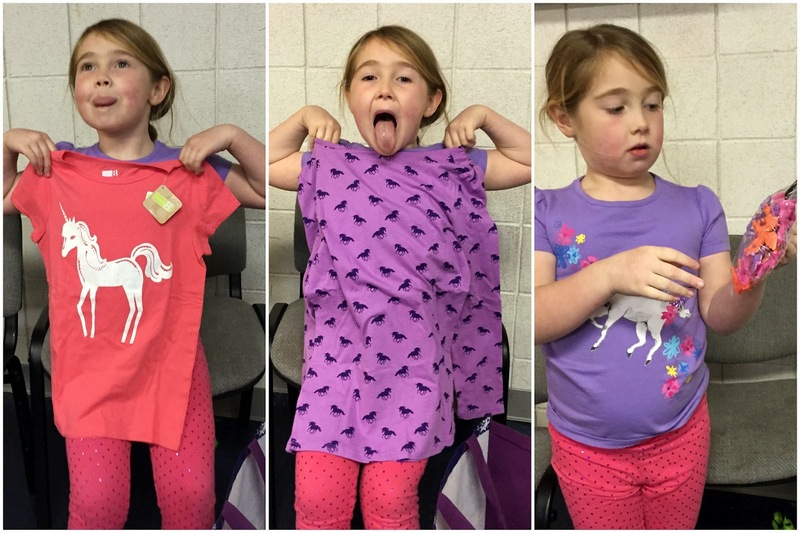 I found her two different unicorn shirts, a bag of mini unicorns (thanks Target dollar bin) and the best of all. 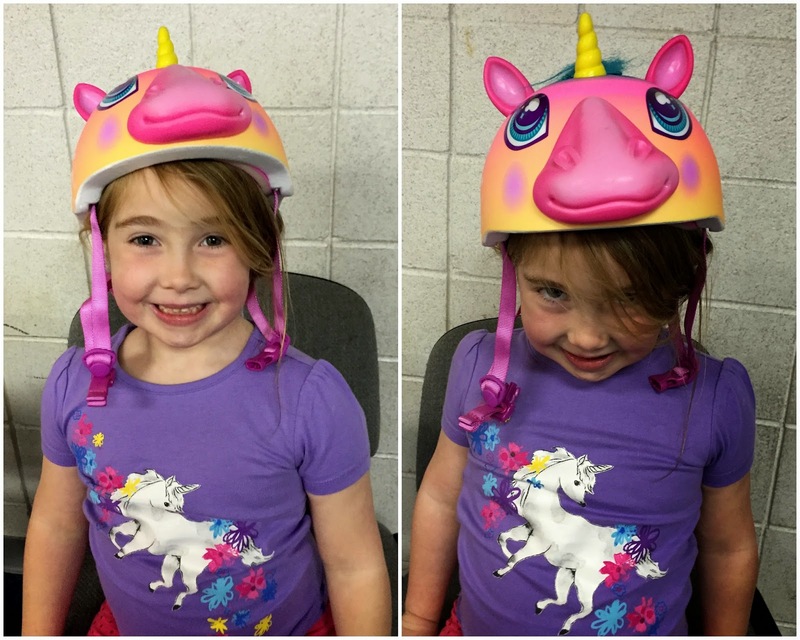 . . a unicorn bike helmet! So cute! 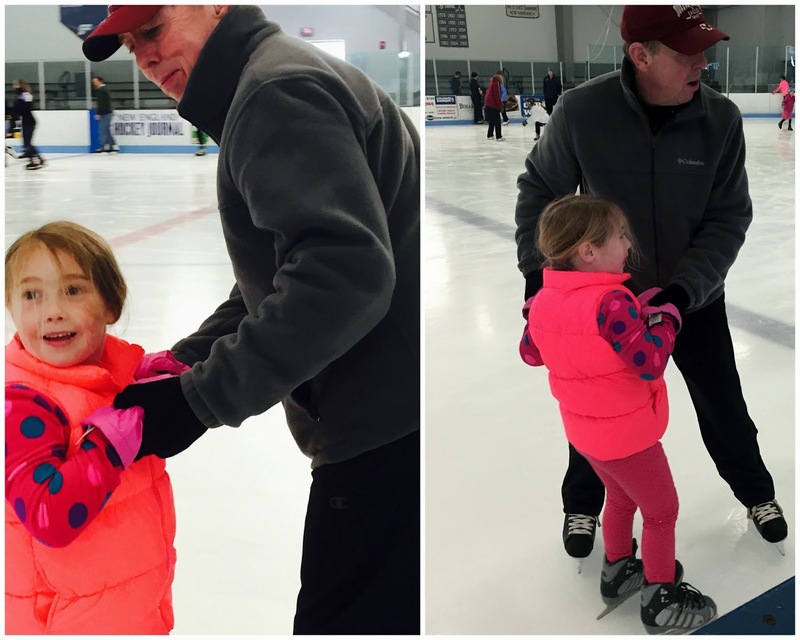 My cousin's son Callen is quite the ham and really wanted to go on the ice with the big kids! Ella (and Peyton) gave Grampy quite the workout! 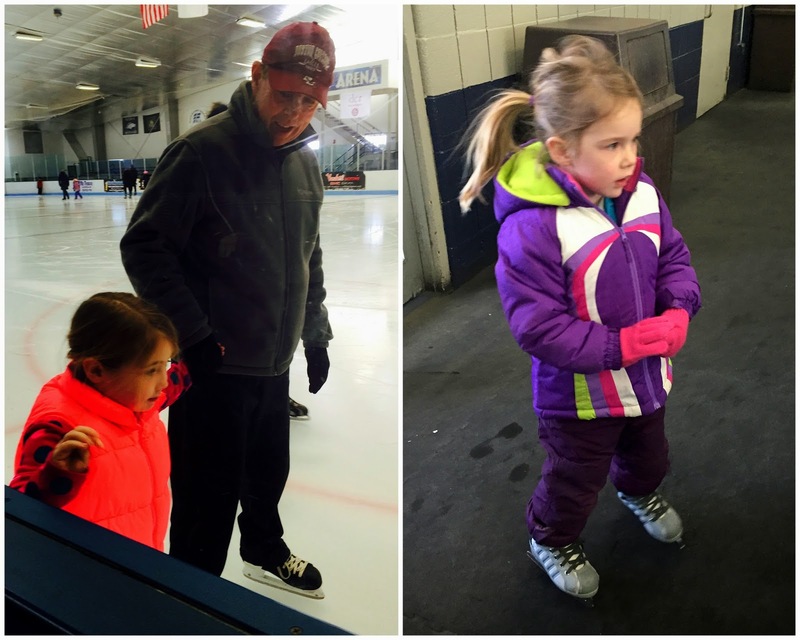 They love ice skating but still need a little help! I think they would have stayed on the ice all day! Laney, my cousin's other child, was a little timid and just watched from afar! She'll be 4 tomorrow! 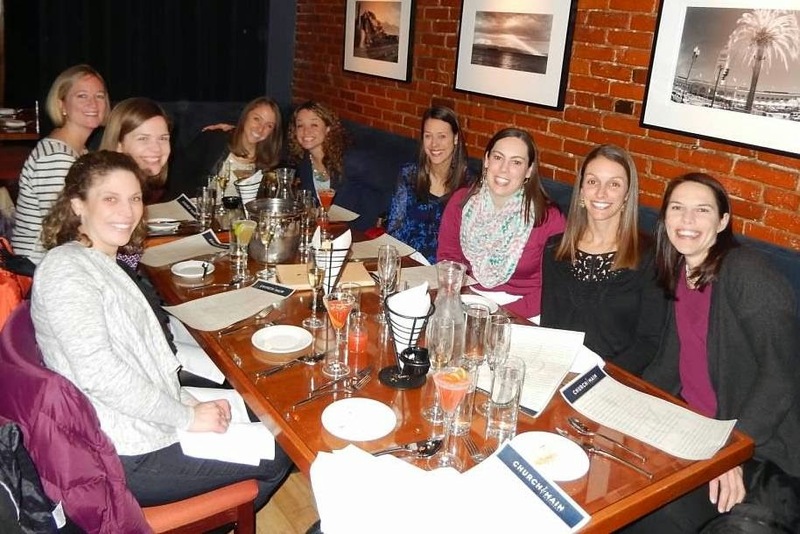 Everyone had a good time! 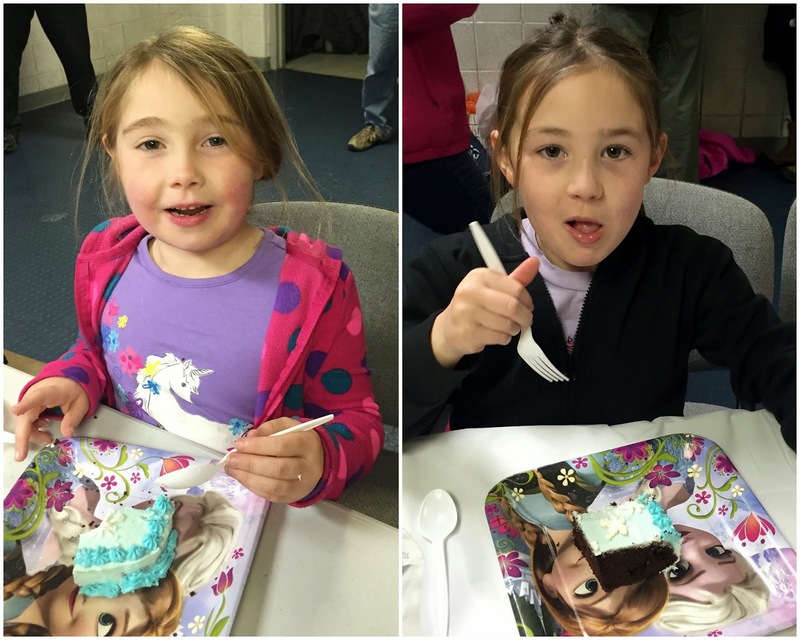 Kid parties are always a little hectic and this one was no different. I think Ella will remember her extended birthday celebration from Disney to home for a long time! Oh and by the way it was actually warmer outside today than in the ice skating rink. Crazy when 40 degrees outside feels good! We enjoyed the sun and some melting today. Unfortunately it is back to single digits tomorrow which means ice. Not looking forward to the slippery commute. Thankfully I have California on my mind and only have to get through a few more cold days before I get a warm break from it!!!!! Happy Wednesday! 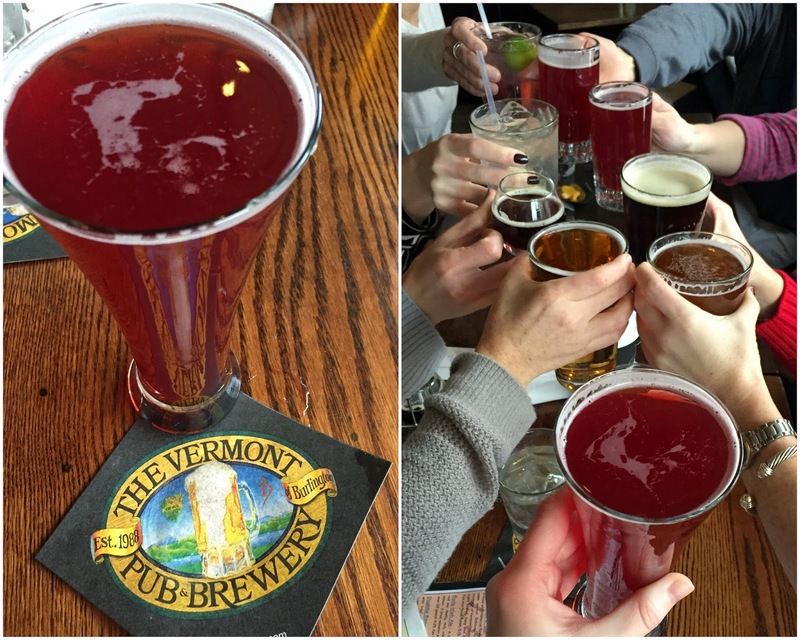 Happy NO SNOW day in Boston. Yes that is something to celebrate since it has been snowing all.of.the.time. 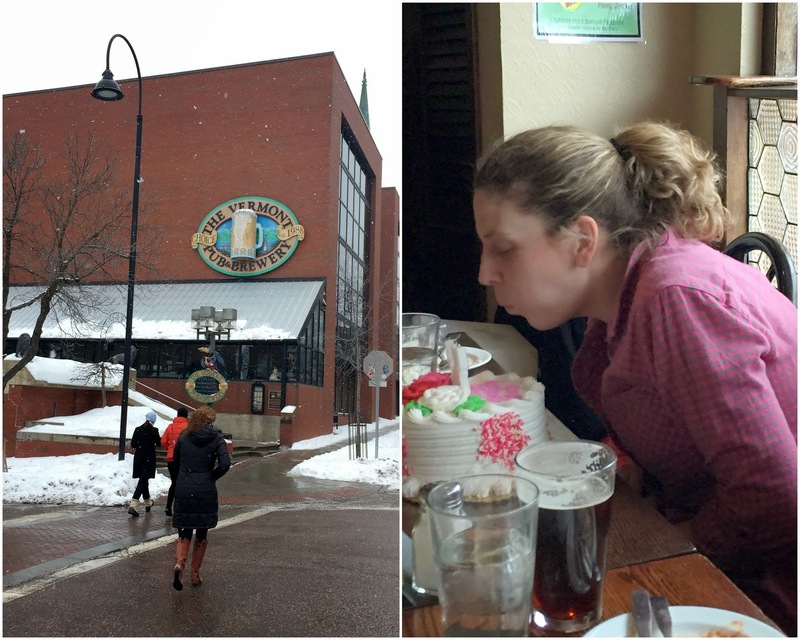 Rachel and I are back for week three of WILW and it is a good reason for me to focus on the things I'm loving which will not include snow, crappy commutes or freezing cold weather. This is the best mashup ever! Love both of these songs so much and these two guys are so talented. Trust me - just listen! I'm loving that The Bean Team is on TV! There is a commercial for the MS Challenge Walk on TV right now and you'll see Kate, Emily and I at the 10 second mark. 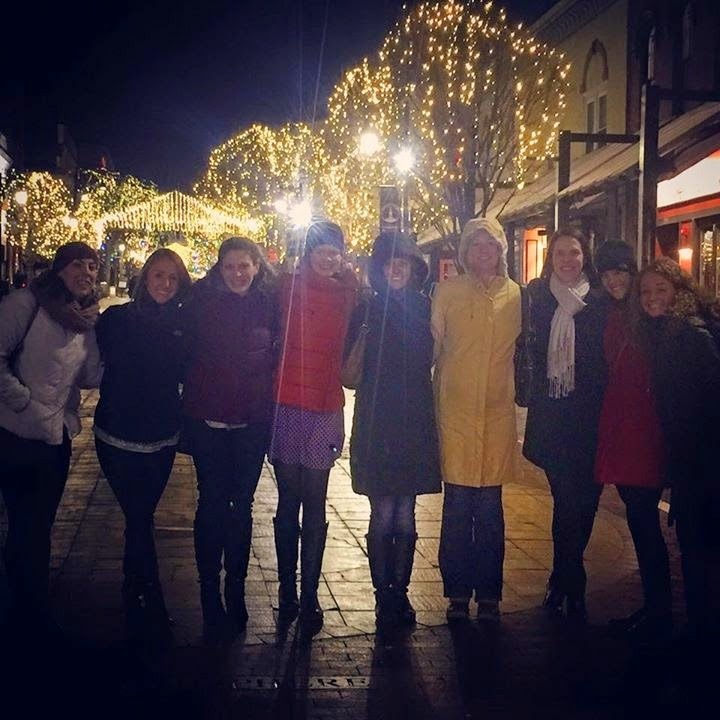 Prior to that you can see Meghan and Leigh Ann but it is quick (just look for pink)! We are famous! I've had friends tell me they've seen it on USA and TNT but you can watch it here! I'm loving that despite the blizzard we had this weekend I managed to see three movies in the movie theatre! There were all quite different from each other but I liked all of them for different reasons. Friday night I had a spontaneous date night with Kate. We saw Still Alice which was SO sad but very good. It was such a realistic look at what dementia does to a family. 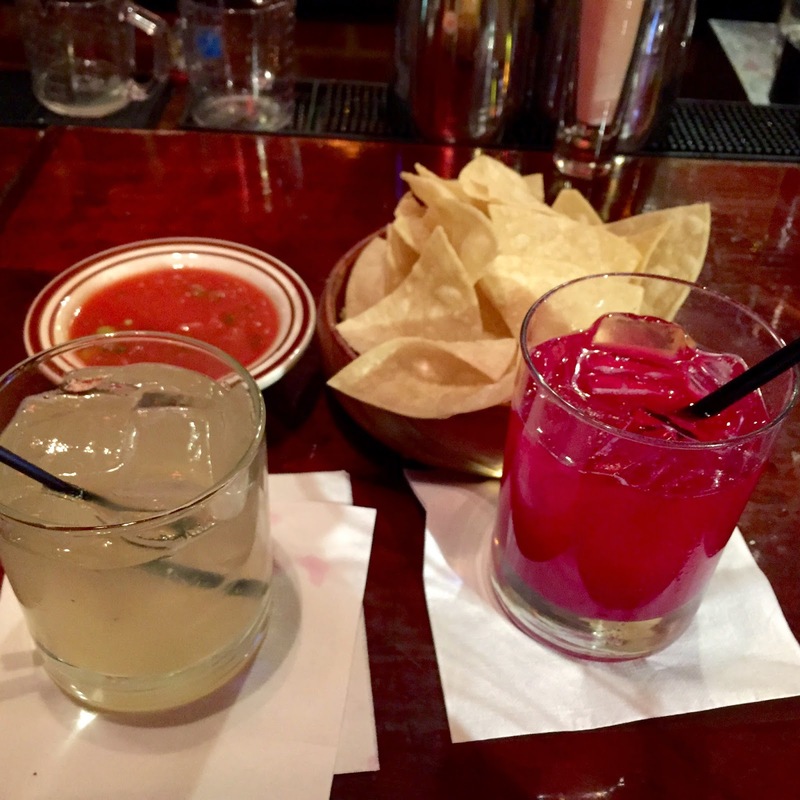 We both left feeling pretty sad so margaritas needed to be consumed! 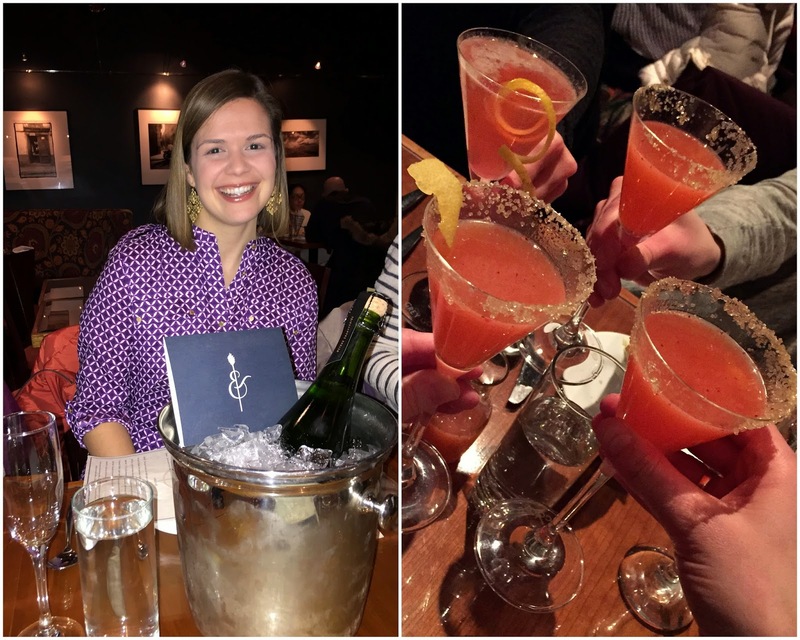 We had such a nice night catching up. Saturday I finally saw American Sniper with my friend Michelle. It was really good but hard to watch at times. It is easy to feel removed from war and to pretend horrible things aren't really happening in other parts of the world. . . then you watch a movie like this and realize the sacrifices military and their families make. I would love to read the book that this movie is based on but doubt that will happen anytime soon. 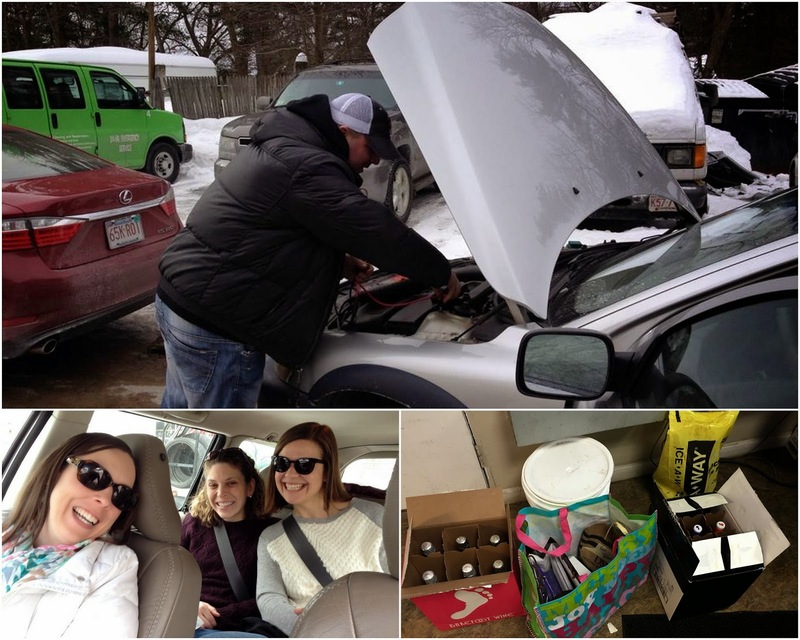 Sunday was the blizzard but by Monday I managed to shovel out and met up with Michelle again. 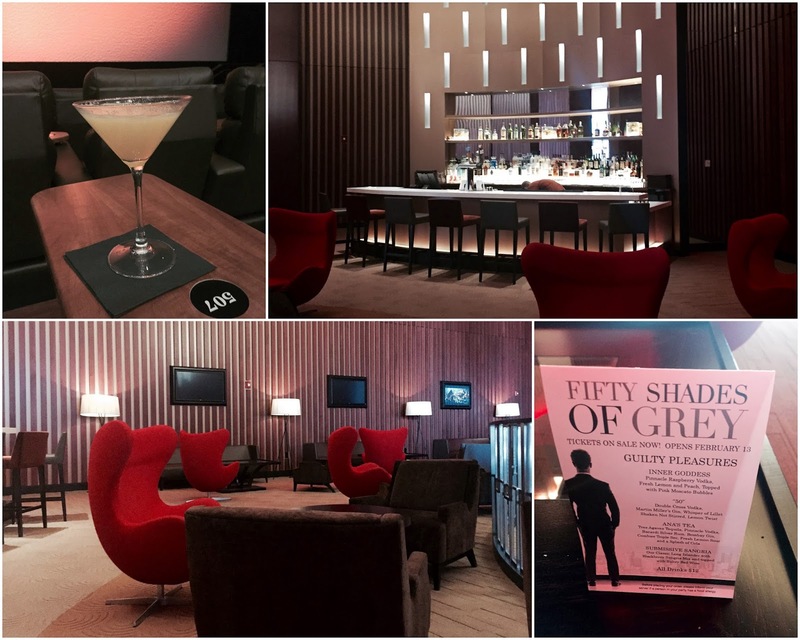 This time we went to the "fancy" theatre and sat in the lux seats for 50 Shades of Grey. It is the kind of movie you have to watch while drinking a martini. We ordered lunch off a full menu and had a great waiter who brought us whatever we needed. I could get use to watching a movie this way! Oh and the movie. . . it was good. I liked it. Ana was excellent. The movie followed the book pretty closely which I liked too. I love going to the movies so to see three in one weekend is pretty awesome! There are still several movies I want to see but the budget might tell me I need to wait for them to be On Demand! Now link up with Rachel and I. Please link back to our blogs or incude the button in your post if you link up so others will know where to find us for WILW!! !